different analogies, that’s where visual thinking steps in. It can also act as a primary method of coming up with ideas, for example by brainstorming in a department meeting. Or it can act as a backup. A guarantee that potential investors or audience members understand clearly the concepts we’re explaining. Visual thinking can also act as a way for us to organize our ideas, and see connections between things which we haven’t seen before (those detective murder suspect boards aren’t there for decoration). In fact, for most of us even when we think that we have everything perfectly reasoned logically in our heads, visual thinking can be an important last step to seeing all the possibilities, and not to focus blindly on the most obvious. Now this might come as a shock, but visual thinking is a way of thinking visually – gasp. It’s useful to many people in many different roles, from students to CEOs, and doctors to landscapers. It is not a tool specifically designed for marketers as some may think, instead visual thinking comes in many different forms, and chances are that you’re already using a few of them already to help you organize your thoughts, either individually or as a team. Here are our top 10 ways to use visual thinking, and some tips on how to get the most out of them, and use them better. Also known as mind maps or spider diagrams. They are probably the most popular form of visual thinking, and what springs to mind when someone mentions thinking visually. Brainstorming is a way in which we can separate ideas into themes and see connections not seen before. Whilst also coming up with new ideas as our eyes are able to scan the idea as a whole. Many people turn to the trusty pen and paper to brainstorm, but another way of brainstorming is to use an online platform, especially when collaborating between many people. 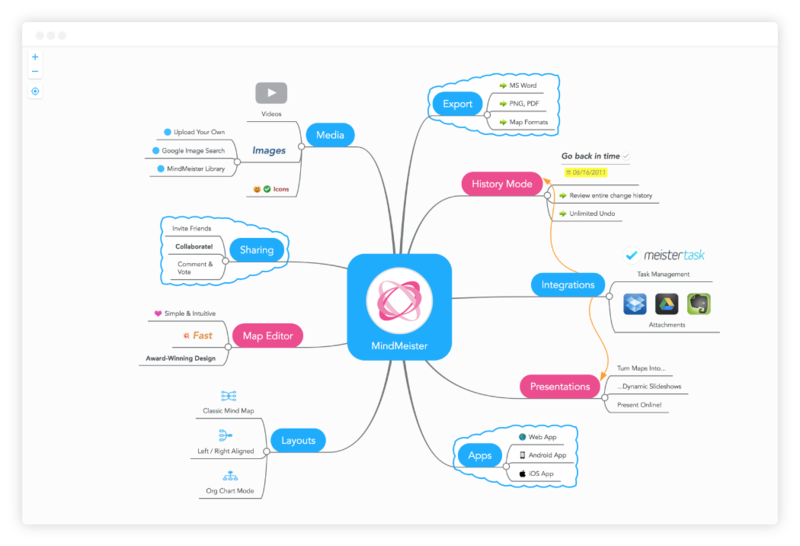 One such platform which you can use is MindMeister, which allows multiple people to collaborate on one screen. Another form of visual thinking commonly used is presentation slides. They allow us to ensure that our audience understands us coherently, and keeps everyone on the same page better than speech alone. The focus here is not on the presenter, but on how the audience take in a presentation. Visual thinking can also act as a way to ensure that misinterpretation is avoided. Ensuring that presentations are kept clear and concise is another way in which visual thinking can prove successful. You can keep your presentations clear every time with a slide library, and good design. Although some might think that presentations and Prezi should go together, Prezi actually packs a different kind of visual compared to other presentations. One that is far more engaging, but one which also risks losing the audience. Prezi is great when you’re trying to tell an audience about an interesting process, or if your audience is primarily made up of millennials. But Prezi presentations, rather than acting as a visual aid most often overtake presentations to become the real star of the show. 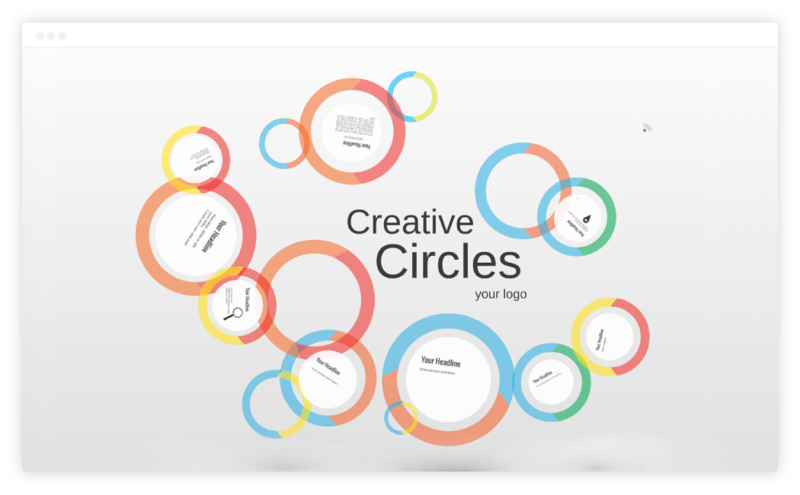 Use Prezi presentations if you are trying to engage your audience in a new exciting concept, and you think they can keep up with the complexity. But stay away if you’re trying to get across another round of sales figures. 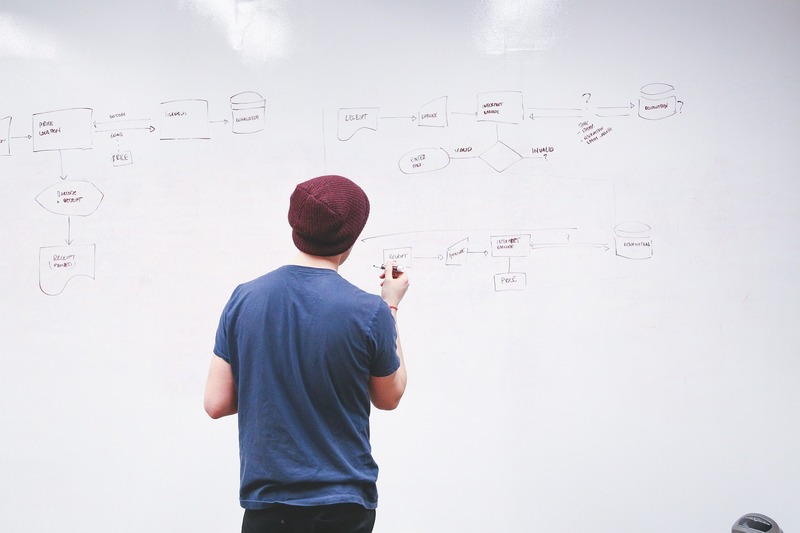 Chances are, that somewhere in your office you have a whiteboard. But when was the last time it was used, and is it used enough? The trusty whiteboard may be a staple in any modern workspace, but we have also grown away from this tool seeing it as an old way to express ideas. Instead we find ourselves using online programs to simulate the same function performed by the item. Use a whiteboard the next time you are working with your team to come up with an idea, or even use it to keep the minutes of a meeting. This will allow your team to see connections not clear before, and keep everyone on the same track if they accidentally zoned out 10 minutes in in a simple and clear way. Interactive activities can also be a great way to get visual thinking going. From group tasks of brainstorming, to the use of tablets, voting apparatus or just a game as way to get group communication going. Interactive activities allow technology to take a large part in the idea flow between person and program. For example, by presenting difficult philosophical questions, and comparing answers. Or by presenting hard situations to solve between teams, you can get your teams working to their full potential in a team working exercise, or keep everyone focused on a certain project if you’re working to a deadline. Sticky notes can be more than simply a reminder to buy milk. They can also function as a great way for us to organize our thoughts, plan our roadmaps, and see connections between ideas we haven’t seen before. 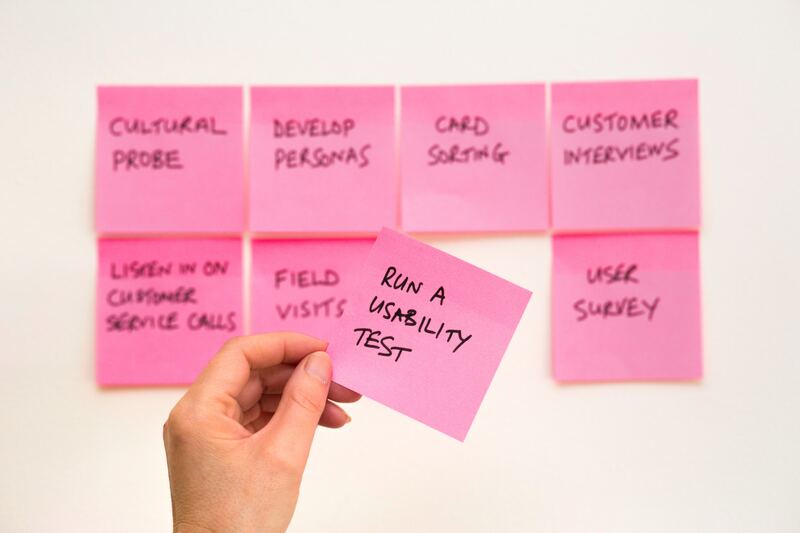 Sticky notes can be used by us alone to plan ideas, or can serve as a great team working tool. Instead of going to a meeting with ideas in your head, try getting everyone to turn up with a fist full of post-it notes, ready to contribute ideas when they make sense, without risking leaving any ideas being left behind. Flowcharts are another form of visual thinking, they allow us to be explicitly clear about processes, without having to worry that a step has been mis-communicated, or lost in translation. 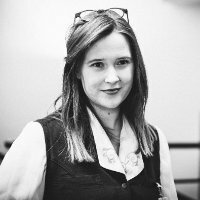 They work brilliantly when onboarding a new team member on a project, as they can be a constant and clear reminder of the processes which go behind everyday tasks. They can also be used as a good way to show employees how decisions are made. Far from the teenage girl ‘Is He Into Me?’ quizzes, flowcharts can serve as an important process in everything from a doctors journal to an admin teams guide, not only from the conclusion they make, but also from the roads they don’t go down. Working on creating a flowchart together can be a very good way of understanding complex processes in teams. Whilst still making sure everyone is on the same page. Using visual thinking can also be a great way to combine a little kinesthetic learning into your working day. Kinesthetic learning is remembering things by doing a physical action. Have you ever had a situation where you haven’t remembered saying something, until you were reminded where you were physically? Kinesthetic learning is another way in which our brains can recall information. By using flashcards to come up with ideas in a team, or in company trainings, the physical movements between sharing the cards and re-organising them can prove useful for our brains to remember stuff better. The next time your team meeting tries to come up a new idea for an update, try using flashcards as an idea stimulator. Use around 10 cards, depending on how many themes you have around your new update,and then pass around the cards, each person adding a new concept to the mix. This can be done anonymously by shuffling the cards each time, or in a round robin if your team is comfortable enough not to peak at each others answers. Doodling isn’t just for students anymore. It’s for people in all walks of life, and can be a great visual aid when learning about new concepts, or when trying to come up with new ones. From the claimed cognitive benefits have come many a doodle which has helped us to organize our thoughts in a meaningful way, and a way in which we can remember the information it contains for much longer. Visual thinking is all about being able to recall an image of something, or to come up with ideas because we think about things differently. So don’t underestimate the value of the doodle. Don’t believe it, or simply need some inspiration? Take a look at this guy’s100 day challenge of doodling. 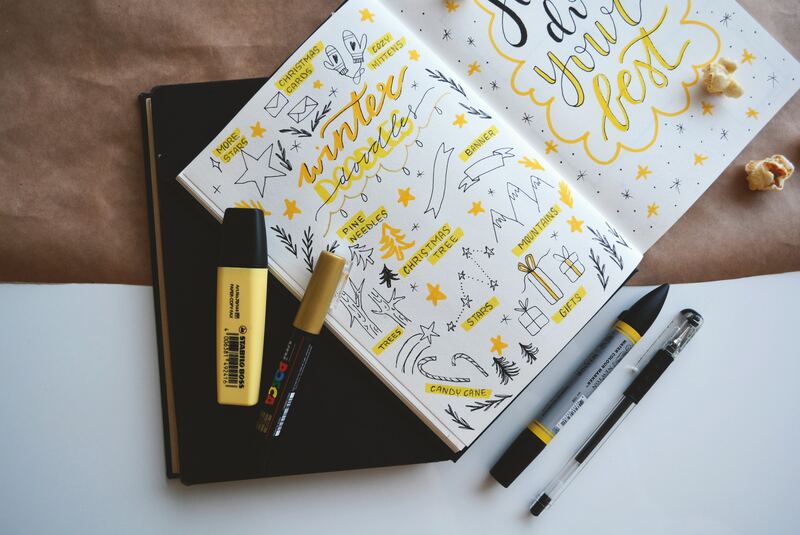 From habit building, to boosts of creativity, doodling can really cross the borders between work and play. Last but not least is using maps in your visual thinking. We’ve probably all seen a company roadmap at some point or another. Maybe even one with doodles around it and a fancy ‘You have reached your destination’ sign. But this type of visualisation can be a great tool to force you and your team to make difficult decisions, and see if you’re taking on too much. Whether it’s a team building exercise in university, a wedding plan, or a weekly team meeting, using a map of some sort can ensure that you are literally on the right track with your ideas. You don’t have to use a standard road map if you’re feeling creative. Or if you have a particularly difficult set of goals you want to achieve. You can use a metro map of to distinguish who’s who in your team, a treasure map if you’re looking for financial success, or even a mountain route map if you know you have a steep hill to climb before you reach your goal. Using visual thinking in the workplace can help to organize information better, and stimulate creativity when stuck. There are many different ways that visual thinking can be used, from clarity of communication to idea stimulation. But in reality visual thinking is there to bring in a little color to your day-to-day routine, and for you and your team to have a little more fun at work.